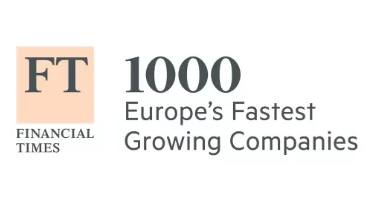 Maximum Media was yesterday announced as one of the fastest growing companies in Europe, by the Financial Times. The publication released its annual report on ‘Europe’s Fastest Growing Companies‘, which included nine Irish businesses. The report, based on revenue growth alone, ranks Maximum Media at an impressive 250th place, which officially positions the business as the second fastest growing Irish business listed. Maximum Media’s company revenues grew by 489% between 2011 and 2015. “Our ambition is simply to become the largest and most influential media organisation in Ireland by 2022, and today I have never been more confident that this is achievable”. Maximum Media, home to Her and JOE, has the largest social media following in Ireland. Across Facebook, Twitter and Instagram its combined audience reaches nearly 3 million. Most recently, Maximum Media unveiled ‘Maximum Studios’, its new purpose-built broadcast studios, which has so far launched shows include weekly sports TV show – SportsJOE Live, Rugby podcast – The Hard Yards, business podcast – The Capital B and GAA podcast – The GAA Hour. This news was covered earlier this morning by independent.ie. Read more here.